Hi! Although this sounds like a censure, it’s actually a scripture to remember when worry wants to overtake you. In fact, not just this alone, but verses 25 to 34 of the same chapter (Matthew 6). Before we see that passage, I want us to talk about the issue of worrying or being anxious for a bit. However, the good news is that God is not unaware of our needs and has promised in His word to provide for us as we shall presently see. We just need to trust in His faithfulness. I remember one occasion when my family and I did that and had a big testimony therefrom. This incident took place 11 years ago but it serves as a salient reminder that God is my provider when I begin to fret. We were planning the funeral ceremonies for my mum. In my area, at the best of times, funerals are expensive. But it is doubly so for someone of my mum’s stature. She belonged to different groups and they scheduled to come on different days during the week to pay their respects and commiserate with the family. They brought gifts and stuff but it cost us some money to host them during those visits because the membership of these groups were large. On the actual day of the burial, all the groups were to converge to say their final goodbyes to her. We wondered the kind of multitude that would descend on our compound when all those groups meet and how we were going to feed them. There were also our friends, relatives and colleagues who were coming from out of town to consider. But as we prayed, God said we would have more than enough. It didn’t make sense because we had provision for less than half of the people expected. On the D-day, it started raining in the morning and rains in my place have a way of lasting all day. We were disturbed because the interment is usually an open air event and joined hands in prayer. 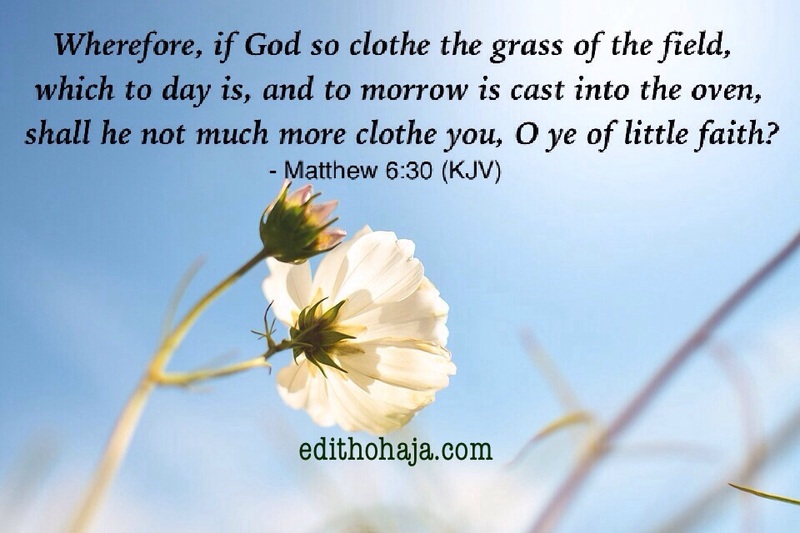 God said, “You will have the sun when you need it.” So off we went to church for the service and by the time we got back home to commit her remains …, the rain had stopped and the sun was peeping out through the clouds. In our area, there is a flooding problem. As a result, the rain water blocked the roads that led to our compound from inside the town. The implication was that most of those who had been to our house within the week couldn’t be there that final day. Only the Expressway, the route for those coming from out of town was through. That was how God fulfilled His word and we not only had enough refreshments for guests that day, me and my siblings had stuff to take back to our various stations. This is just one testimony I have out of many and I know you have yours too. So when anxiety hits, remember that the God who did it before will do it again. More than that, encourage yourself with the word of God in Matthew 6:25-34, noting that food and clothes are just symbolic of all the things you could be anxious about. Here it is in modern English. “So my counsel is: Don’t worry about things—food, drink, and clothes. For you already have life and a body—and they are far more important than what to eat and wear. “Look at the birds! They don’t worry about what to eat—they don’t need to sow or reap or store up food—for your heavenly Father feeds them. And you are far more valuable to him than they are. Will all your worries add a single moment to your life? “And why worry about your clothes? Look at the field lilies! They don’t worry about theirs. Yet King Solomon in all his glory was not clothed as beautifully as they. And if God cares so wonderfully for flowers that are here today and gone tomorrow, won’t he more surely care for you, O men of little faith? “So don’t worry at all about having enough food and clothing. Why be like the heathen? For they take pride in all these things and are deeply concerned about them. May the Lord grant you peace and solutions to the issues that would make you anxious in Jesus’ name. Amen. Well said, Florence! If we can just take our minds back to the things He did before, it would calm our hearts when worry comes. Amen! I needed this post. I am prone to bouts of intense anxiety & truly needed this reminder to cast my worries upon Him. thank you, ma. Amen to this ma, most atimes I allow the devil to outline the issues of my life for me to the extent that I start doubting the abilities of God to provide and take me by the hand at all times. Thank you for this great reminder that am the thoughts that fills God's heart at all times. 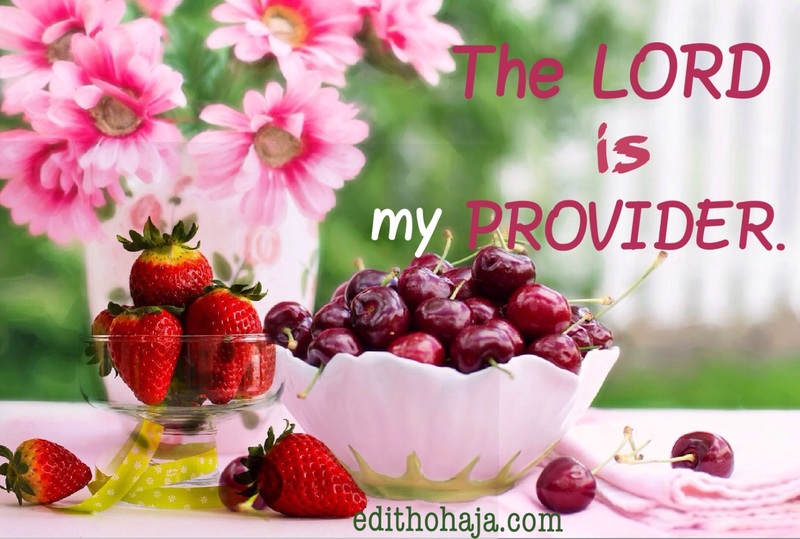 God, has a way of doing things, just asked and it shall be given unto you. Seek and you shall find. Knock and the gate of heaven will open up! My God never fails nd he has proven to us several times. Just like he did. Making sure that food was never be a problem. Odogwu chukwu!! Beautiful testimony, Cynthia! I love the scripture you quoted: Matt 6:33. May God multiply your testimonies in Jesus' name. God has a way of making situations turn out to his glory. All you need to do is put all your worries and anxiety in his care and you will see the marvelous nature of God. God bless!! God bless you too, Benita! God is great and always ready to answer his children....here goes my own testimony, my dad died when we least expected it and his hospital bills took away almost all my mum's savings that we were looking up to my uncles to foot my father's burial but to our greatest surprise, they told my mum to leave my dad in the mortuary and continue with her trade until she raises money for the burial. we cried our eye balls out that day, but it did not end with tears, we added prayers to it and God answered us by sending two young men who gave us N200,000 claiming that my dad helped them sometime ago plus other numerous contributions from friends, relations and neighbours...At the end, my dad's burial was a huge success and talk of the town all to the glory of God... And I vowed to worship God till death because of what He did for us... He is indeed an awesome God. Wow! God knows how to wipe our tears. He is without doubt a loving and faithful Father. I too will worship Him all my days. Thanks a whole lot for sharing, Judith, and stay blessed in Jesus' name. When trying and turbulent times seems to be the order of the day in our life's,we are not supposed to worry or get anxious over it.God is perfect and ever ready to turn those situations to his glory. As Christian's,all we need to do is just to direct our anxiety and worries on to him.proper understanding of how God works will eventually have positive impact in our life's.Remain bless ma. This lifted my soul! God bless you Ma! Lately, I've been worrying and giving myself information overload. But fortunately for me, I believe in God's word that says all things are working together for my good. I can't worry when I have Jesus. May your whole life experience the peace which the Prince of Peace gives in Jesus Name...Amen. Amen. And may God address every issue that is geared to trouble you this year in Jesus' name.